The Talmans were Audubon relations. 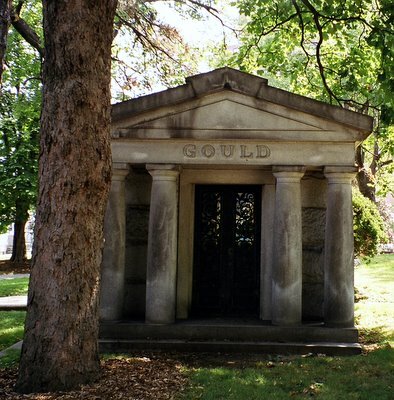 Georgianna Mallory, Victor Aubudon's second wife, and Delia (Edward W.) Talman were sisters. 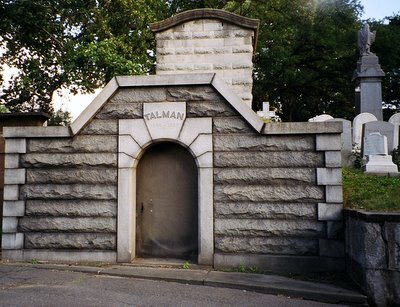 After Victor's death, the Talmans lived in Audubon Park, as boarders in Georgianna's home. Richard Carman, a box manufacturer who made a fortune in real estate and insurance, was a near neighbor and friend of the Audubon family. 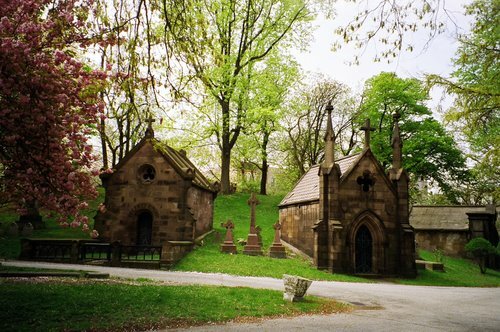 His large land holdings in Washington Heights included the village of Carmansville, which abutted Minniesland, as well as (for a short time) the tract that now comprises Trinity Cemetery. Carman bought that property (which stretches from the Hudson to Amsterdam Avenue, from 153rd Street to 155th Street) the same day the Audubons bought Minniesland, but only held it a year before selling it to the Trinity Corporation. 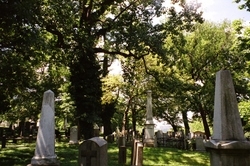 Carman, his wife and sons are all buried in the plot, which is high on the hill in the eastern side of the cemetery, with a view of the Hudson, as well as views of land south and east of the cemetery that once formed part of Carman's real estate empire.